DART: Barbara “Bunny” (Tsesmelis) Dart, entering into eternal life is a beloved wife, mother, grandmother and great grandmother. Bunny as we all know her was a member of St. Sophia Greek Orthodox Church. 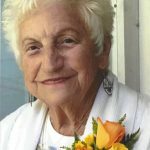 She was a Sunday school teacher for many years, was involved in the Greek Festival for numerous years baking for hours on end. She instilled her Greek traditions on her children and grandchildren. She also was a member of the St. Michael’s Church in Florida where she was President of the Women’s Philoptochos Society, a member of the Red Hats volunteering her time. She was, awarded the Gold Award, by the American Cancer Society for years of volunteering and raising money for cancer research. Bunny volunteered for many years at Monroe Hospital in Ocala, FL as a receptionist. Along with her late Husband Duncan, they volunteered every Tuesday to sponsor spaghetti and meatball dinners at the Ocala lodge of Elks with proceeds going to under privileged children. Bunny was always full of energy, remembering every-one’s birthday, nameday, anniversary, etc. She will be remembered, as calling everyone “Dollin”. She is survived by her son Dino Dart, daughters Paula Dart, Kathy Wood (Doug), Thelma Hunter (Rick). Her grandchildren Tiffiney, Robert, Christopher, Scott, Nicholas, Corey, and Laura. Her great-Grandchildren Maryah, Sophia, Ezekiel, Seth Duncan. She was predeceased by her husband Duncan, son Kenneth, brother Tony Tsesmelis, sisters Mary Ganacoplos and Victoria Mitchell. Wear a touch of her favorite color “Yellow”. Funeral services will be held on Saturday (March 23) at 11 am at St. Sophia Greek Orthodox Church, 200 Hempstead St. New London. Interment services are private. 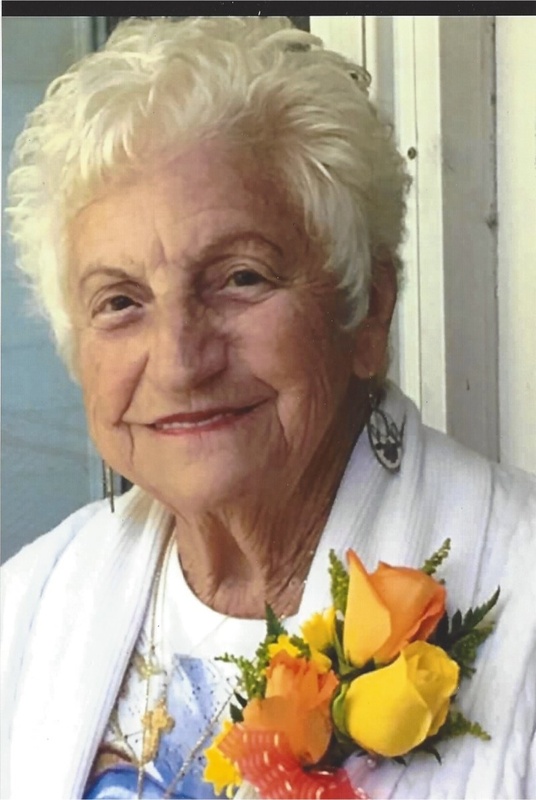 Donations in her memory may be made to, St. Sophia Hellenic Orthodox Church.